The government has finally bowed to years of pressure from persistent Norfolk lobby groups and set aside millions of pounds to help communities at risk from coastal erosion, it was revealed last night. The surprise move is in the small print of the heavyweight pre-budget report and comprehensive spending review published last week. It commits a pot of £10 million to help communities deal with the consequences of flooding and coastal erosion where the construction of defences is not deemed “appropriate”. The allocation of the money was last night welcomed by leading climate change and coastal campaigners, who described it as “joyous”. The figure of £10 million would not be sufficient as a long term solution, said the campaigners, but they stressed an important principle had been established in official policy for the first time. The government pledge stops short of using phrases such as “compensation” and “social justice”, instead using the word “adaptation” – but it represents a significant turn around, said Malcolm Kerby, coordinator of the Happisburgh based Coastal concern Action Group, which now campaigns on an international stage. “This is huge, a momentous step forward, quite joyous. It is the single most important development for the benefit of coastal communities for many years,” said Mr Kerby. “Our problems are not solved, but for the first time we can see there is going to be some kind of assistance on the table for those people who are suffering. We never had that before. “It is not clear what this will translate as, how it will shake down, and the pot is wholly inadequate, but at this stage that is not the point – it is now written in tablets of stone that the government is prepared to provide financial assistance to communities who are facing this dreadful plight. North Norfolk MP Norman Lamb said a new principle had been established: “This is the first sign of a breakthrough for the many years we have been putting forward the argument for social justice. “It is far too early to be confident we will reach a satisfactory conclusion, but it is crucially important that the government has accepted the principle of helping people in these situations. A meeting arranged with environment minister Phil Woolas for the end of the month now took on a whole new importance, said Mr Lamb, with further clarification vital. 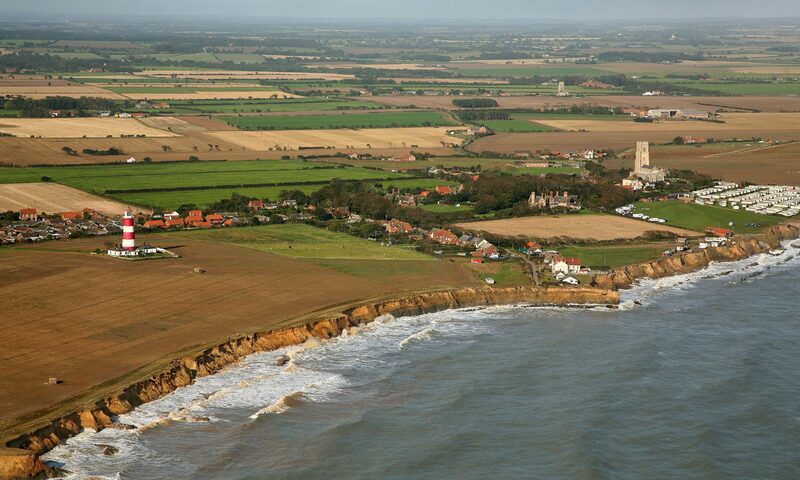 Both Mr Lamb and Mr Kerby said they felt the new policy was the direct result of a collective effort in north Norfolk, involving politicians, North Norfolk District Council, CCAG and communities at threat such as Happisburgh. “Unanimity has won this major battle,” said Mr Kerby. And Mr Lamb said: “No one else in the country has been arguing this case other than the group in Norfolk.” That group included Mr Kerby and the communities he represented, the district council and climate change expert Tim O’Riordan, said Mr Lamb. The district council’s head of coastal strategy Peter Frew, said he was “very pleased indeed” at the news.